The 2018 DN Western Regionals are in the books. Even though temperatures were above 10 F today, the overcast skies made it seem even colder than Saturday. Winds were up from yesterday at 8-15 mph. The ice remained hard and fast. Congratulations to Steve Orlebeke for his win in the Gold Fleet and Mike Barnett in the Silver Fleet. 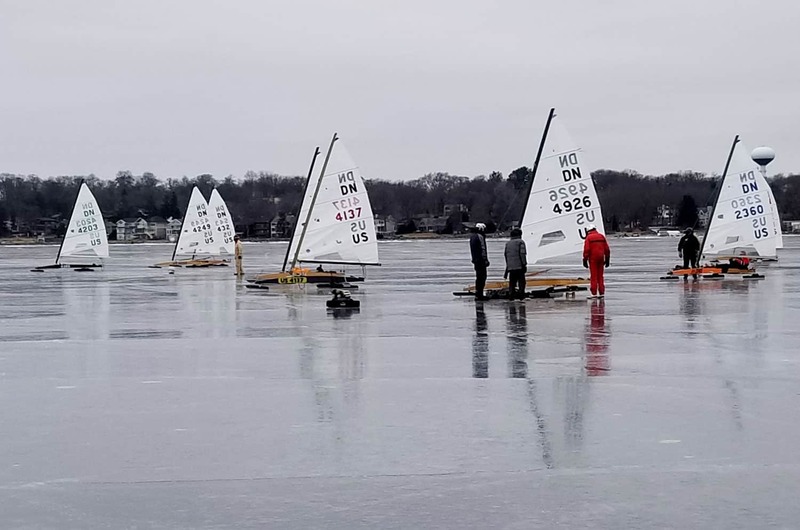 Many thanks to the Western Region Commodore Daniel Hearn, PRO Dan Heany, Race Committee helpers Fred Stritt, Julie Jankowski, and Jori Lenon, and scorer Mercedes Auger. Thanks to Loretta Rehe for tabulating back at the Home Office in Michigan.